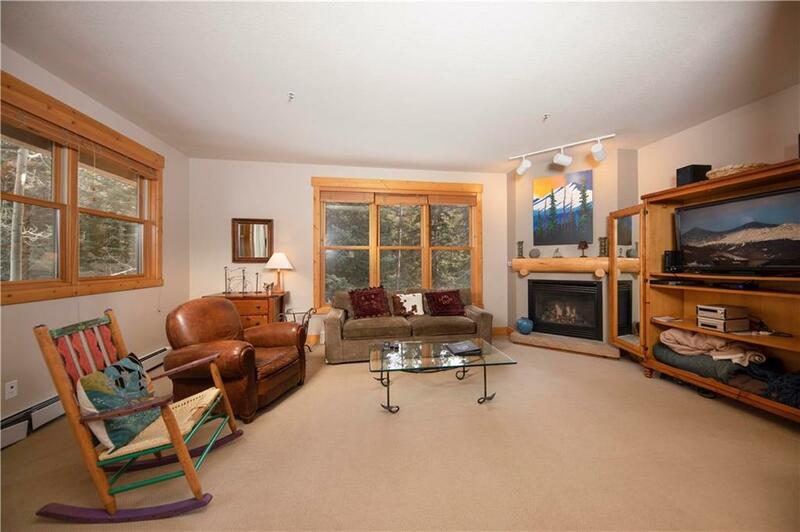 All TRAPPERS CROSSING CONDO homes currently listed for sale in Keystone as of 04/22/2019 are shown below. You can change the search criteria at any time by pressing the 'Change Search' button below. "Incredibly private setting at Trappers Crossing backing to forest and seasonal tributary and just steps away from the Snake River. This 2-bedroom residence is on the ground floor with no steps to contend with and has easy access to the hot tub and storage area. Enjoy use of a 4'x8' secure storage room at the clubhouse in addition to an over-sized ski locker outside the condominium. Truly turnkey and priced less than most recent transactions at Trappers Crossing. Shuttle pickup every 20 minutes."